Seat belts are one of the most important safety features included in all cars. They save thousands of lives each year, however, in some rare cases these safety devices can actually cause an injury. This can happen when you fail to secure the seat belt properly, or if there is a design or manufacturing defect in the seat belt. 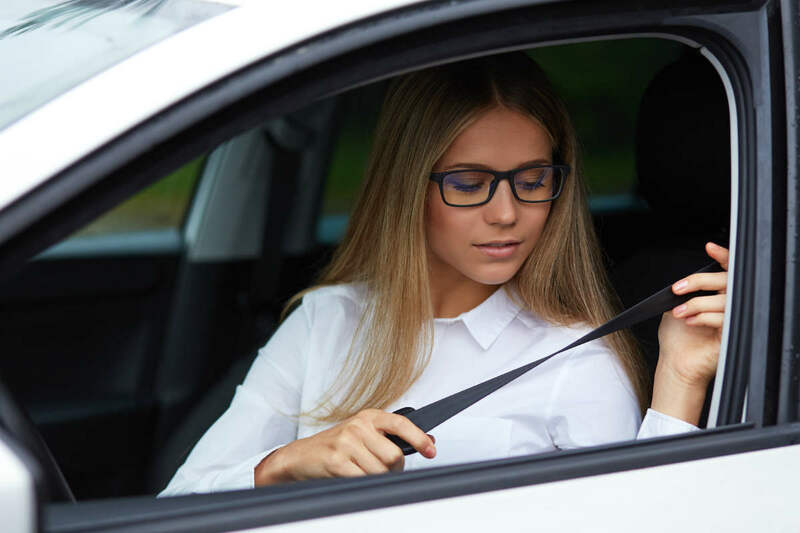 In this post, we will discuss some of the most common injuries caused by seat belts, and how some of these injuries can be prevented. According to the CDC, for front-seat passengers, seat belts reduce the risk of death by 45% and the risk of serious injury by 50%. So, the reason that seat belts are mandatory is that statistically speaking, they save millions of lives every year. What they also do is limit the injuries that someone sustains when they are in an accident. This means the argument in favor of them is that they save the public from having to pay for people who are permanently disabled due to car accident injuries. Also, they limit the amount of money that insurance companies have to pay out for serious injuries. If the insurance companies don’t have to pay exorbitant amounts, it saves everyone from high insurance premiums. Since having the mandatory minimum liability insurance in Missouri is required to drive, it is preferable that costs remain lower so that most people can afford to have insurance. Otherwise, there would be an entire segment of the population who couldn’t afford to pay their insurance premiums. So although you are free to make choices as part of being an American citizen, the government is allowed to create policies to protect the public when the greater good is at stake. With clear evidence that seat belts lower a person’s risk for severe injury – especially for children – the states, including Missouri, decided that wearing a seat belt should be legally required. The reasoning behind the legality of wearing your seat belt is simply that in legal terms driving is a privilege, not a right. Since it isn’t a right, in order to drive you need to follow certain rules and regulations for the good of everyone on the road – and for yourself. If you have little ones in your car, then their safety is in your hands. If you don’t belt them in, then their rights are being violated by not having the proper safety measures in place since they can’t seat belt themselves. Just like following a speed limit or stopping at a red light, the law states that in order to drive you have to acquiesce to wearing a seat belt as a condition of your driving privilege. If you break the rule and do not buckle up, then it is like breaking any other driving law and you can be subject to a citation – which can come with a ticket for not using your seat belt when the car is in motion. According to statistics from traffic safety departments across the United States, the majority of severe and fatal injuries can be prevented if drivers and passengers are buckled up. When car occupants in Missouri do not wear a seat belt, the chances of getting injured in an accident are one in three; for those who wear seat belts, the chances of getting injured are reduced to one in eight. Accident data collected over the years indicate that over 70 percent of all fatal accident victims in Missouri were not wearing seat belts. A similar percentage of people who suffered severe life-altering injuries were also not buckled up. If a car traveling at 30 mph is in an accident, a person who is unbuckled is thrown and hits the windshield or other interior components of the car with as much impact as you face when falling from a three-story building. If you think that low-speed accidents are not fatal, understand that people not wearing a seat belt have died in accidents at speeds as low as 12 mph. The airbag system works in conjunction with the seat belt system and its efficiency drops by almost 40 percent when the seat belt is not used. Traffic accidents result in five deaths per hour across the nation and one death in nine hours in Missouri. The number of fatalities in car accidents would have been reduced by half if passengers were wearing seatbelts. The chances of a driver not wearing a seat belt getting killed in an accident are 42 times higher than a driver who is wearing a seat belt. There are various excuses given by drivers and passengers for not wearing a seat belt. Some of these excuses have resulted in an increased number of fatalities. Many people think that a car equipped with airbags is safe and seat belts are not required. The truth is that the airbags protect only in case of front or side crashes, but not in rear-end collisions and rollovers. For such situations, a seat belt is required to protect you. Do Seat Belts Cause Injuries? There are people who believe that seat belts cause injuries. In the event of a high impact crash, an improperly worn seat belt may cause injuries; however, these are mainly bruises or abrasions. Catastrophic injuries can happen when the seats are reclined during an accident. Seat belts should be used every time you sit in your car, even when you are taking a short distance trip; most accidents occur at speeds lower than 40 mph and at a distance of 25 miles from home. As discussed earlier, the severity and speed of the crash play a crucial role in determining whether or not the seat belt causes an injury, so it is not possible to completely eliminate the risk of these injuries. Also, if you have suffered an injury because of your seat belt, chances are that you may have suffered a far more serious injury had you not been wearing a seat belt. It is possible to prevent or at least minimize the effects of a seat belt injury by making sure that your seat belt is secured properly at all times. You should ensure that your seat belt is secured firmly across the hips and below the abdomen. Also, see to it that the shoulder belt is secured firmly across the mid of the chest and not near the neck. The seat belt should not be very tight, however, it should not be too loose also to give you much wiggle room. Finally, do not place your shoulder belt under your room or behind the back for any reason. If your neck hurts or the chest is bruised after a car accident, you may have suffered a seat belt injury. Make sure you see a doctor immediately if you experience any such symptoms. Have you suffered injuries in a car accident? Consult an experienced St. Louis auto accident attorney before you sign the settlement. Our attorneys can evaluate your claim for free and help protect your legal rights moving forward. Call us 24/7 at (314) 361-4242.